So I'll say it again, this is the legit nag champa scent! No matter what you choose from nanas you will not be disappointed. Period. They go above and beyond customer care! 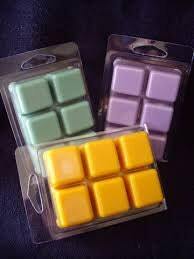 If you love wax melts, oils, or candles you shouldn't go anywhere else but here. Very nice and soft notes from top to bottom. Not a heavy scent , but you will smell each note alone that comes together softly with the perfect throw. WOW if I could give this one a 10 I would in a heart! There are no other words to describe it but it a BOMB! I give a four with the intent to really give a five, but to be fair and honest I have not try these tarts yet. The 4 pnts are their quality of workmanship, the level of fragrance used( nothing cheap here) and of course their customer service. However, when opening the package you can really smell how wonderful it's going to be!! !